During MWC in Barcelona, Vodafone kicked off its trial of what would effectively be the World’s first air traffic control system for drones. The tracking and safety technology pioneered by Vodafone, in collaboration with the European Aviation Safety Agency (EASA), is a practical example of how 4G Internet of Things (IoT) applications can be used to improve our daily lives. Drones pose a potential danger to commercial, as well as private aircraft when flown irresponsibly and are also a concern when they have the ability to be flown in sensitive locations such as airports, prisons, government buildings, hospitals, sporting stadiums, and schools. Currently, commercial civilian drones are too small to be tracked by conventional radar systems, which are used to track Unmanned Aerial Vehicles (UAVs) and planes. 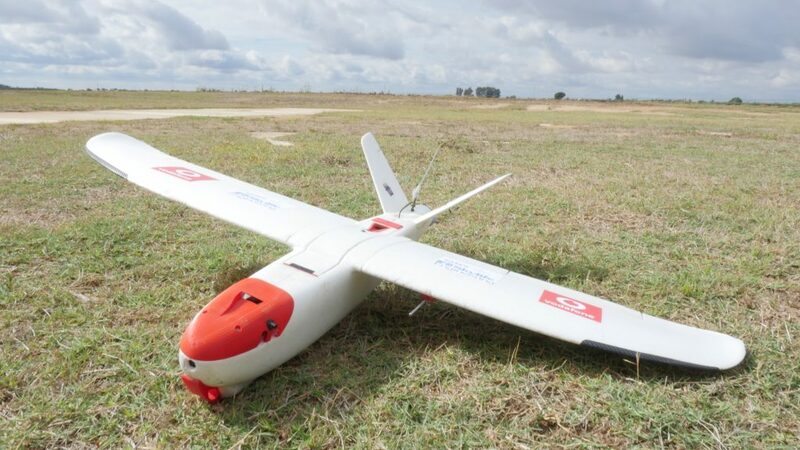 In order to track them, Vodafone has developed the world’s first Radio Positioning System (RPS) for drones, using a 4G modem and SIM, physically installed into the drone. Once onboard, the drone’s RPS will be able to offer real-time tracking of each drone (accurate to 50 meters). It will also give operators greater control when using drones beyond line-of-sight (when authorised to do so). But most importantly, the technology could be used to effectively geofence secure facilities, such as those listed above and create exclusion zones in built-up areas. Although some drone users may be concerned about the additional ability it would give the authorities to emergency override and control a privately owned drone to alter its path and force it to land. But on the plus side, if an operator found themselves having difficulties, it could be a great benefit to have official technical support on-call to locate and return a drone that’s gone AWOL. The risk to aircraft is a continuous worry and for good reason. Analysis from the Single European Sky Air Traffic Management Research (SESAR) project indicates that by 2050, drones will log more than 250 million flying hours per year over densely populated areas of the European Union, seven times the total annual flying hours of conventional commercial aircraft. With that many more drones flying above us, the need to track their locations in real-time is quickly becoming an imperative. However, if you’re concerned about the potential for hackers to gain access to 4G IoT-enabled drones, 4G mobile networks that many of our phones use, already operate with long-established and proven security systems. RPS location data would be significantly more difficult to hack or spoof compared to GPS data, and the data connection used to control the drone offers operators some potential advantages compared to current radio-control protocols, including more consistent real-time performance over longer distances. Vodafone RPS is combined with Artificial Intelligence algorithms – also developed by Vodafone – to enable very large numbers of drones to be tracked and controlled remotely. Vodafone has placed its RPS research and associated intellectual property in the public domain with no licensing fees for re-use in order to accelerate the pace of drone safety and geolocation innovation worldwide. In a preliminary trial in late 2017 – the first of its kind in the world – Vodafone used its 4G network to control a 1.3-metre wingspan, 2kg X-UAV drone. Throughout the preliminary trial – which took place over a 32km course around the town of Isla Mayor, near Sevilla in Spain – the drone transmitted a real-time HD video feed and flight data including speed, RPS location, and GPS coordinates. Further trials, which will be coordinated with the relevant authorities, are now scheduled in Spain and Germany through 2018 with the intention of making the Vodafone drone tracking and safety technology available for commercial use from 2019. The technology behind RPS will also be utilised to boost the functionality of other IoT devices in future; from luggage tags to bicycles. RPS could support, or replace, GPS in some IoT devices, enabling better location tracking, particularly indoors, the creation of smaller devices and enhanced security.